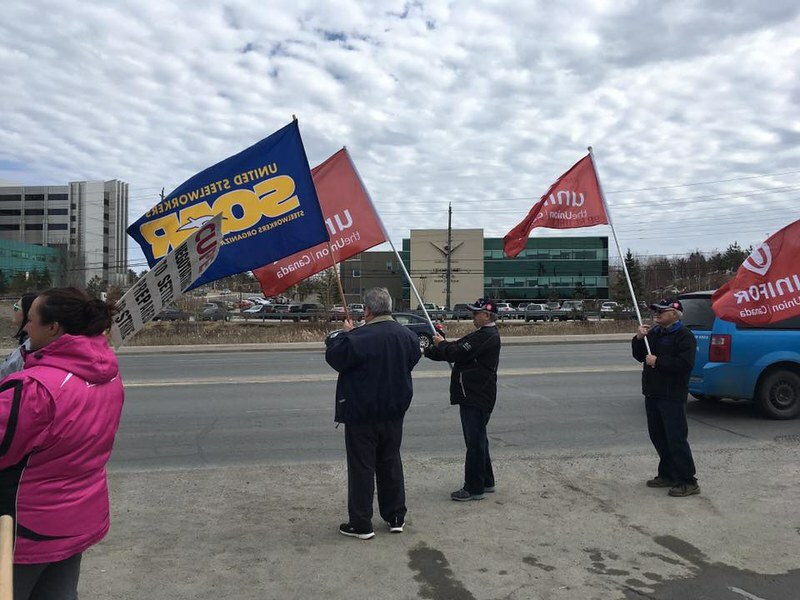 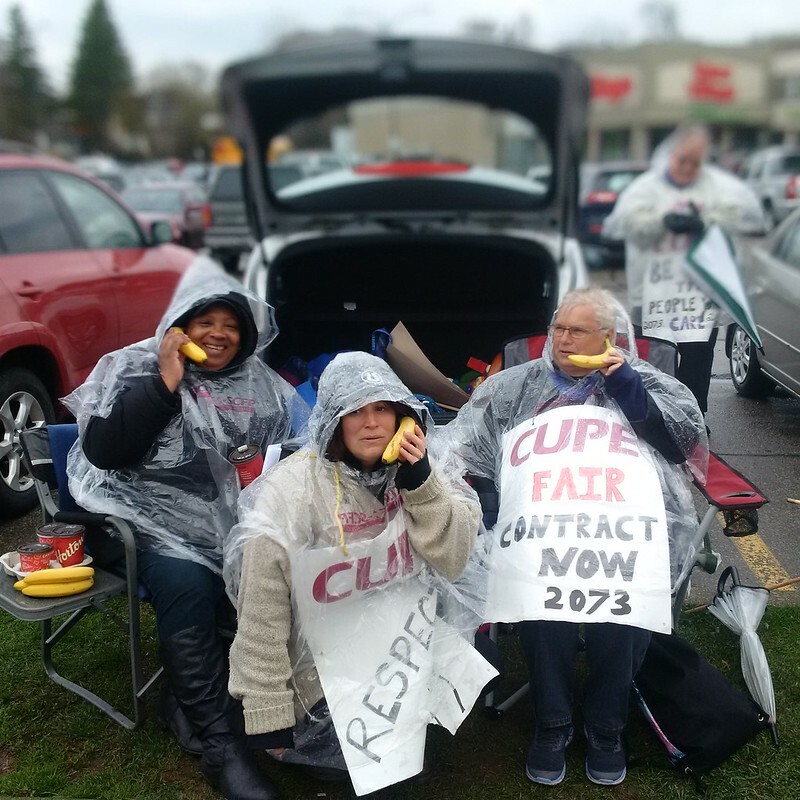 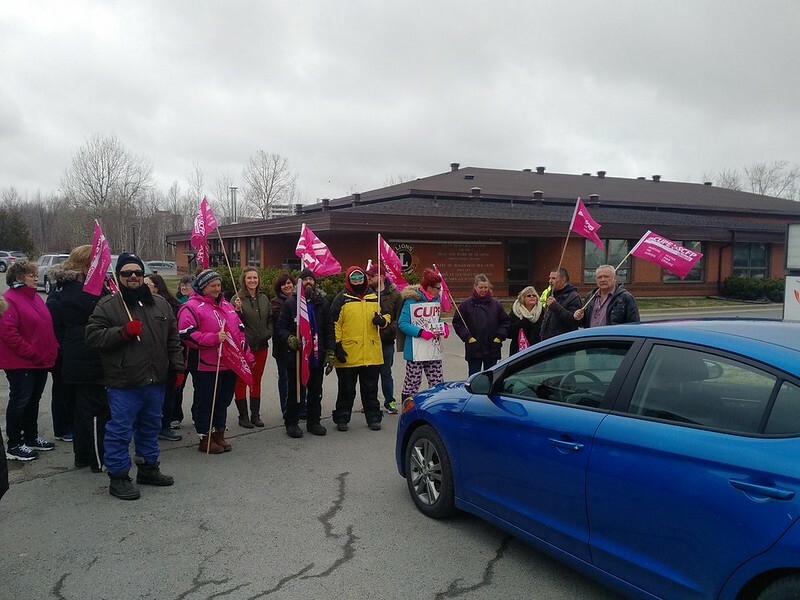 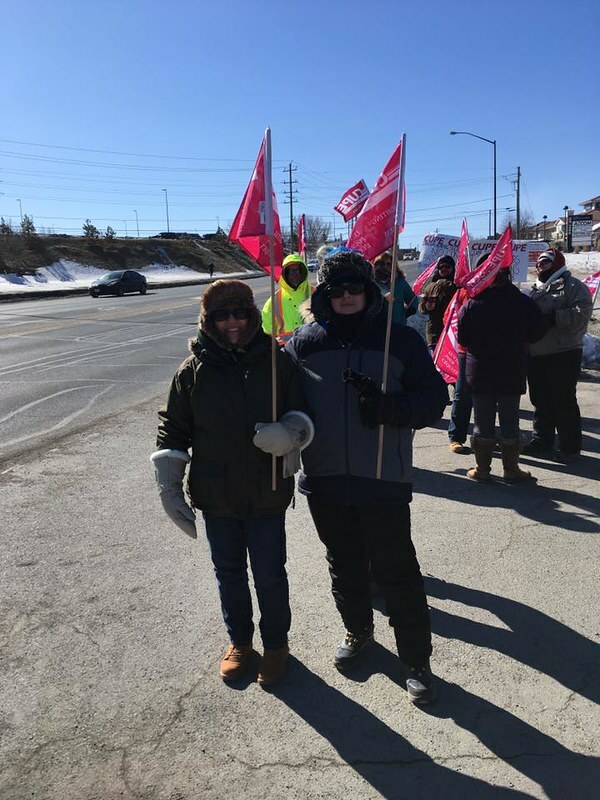 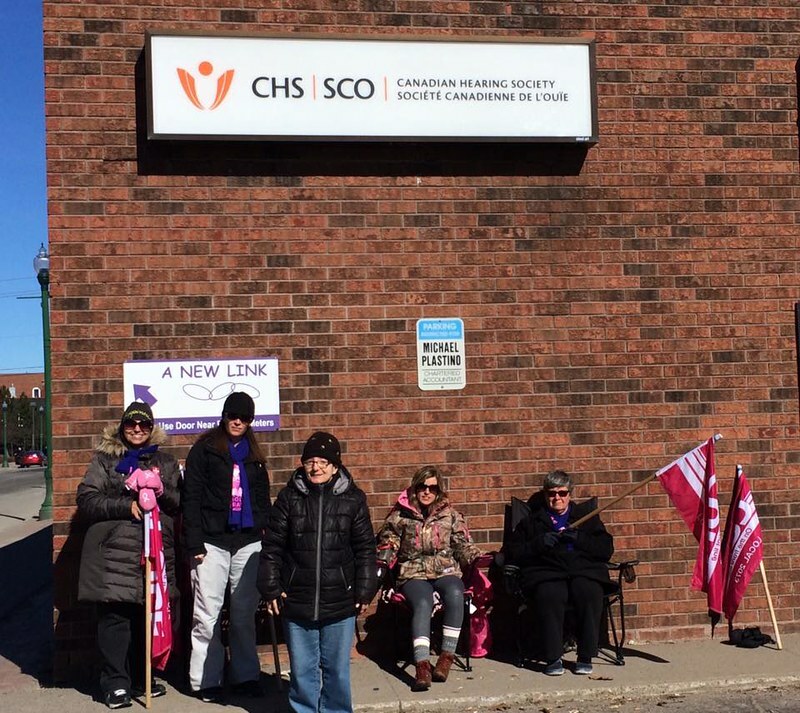 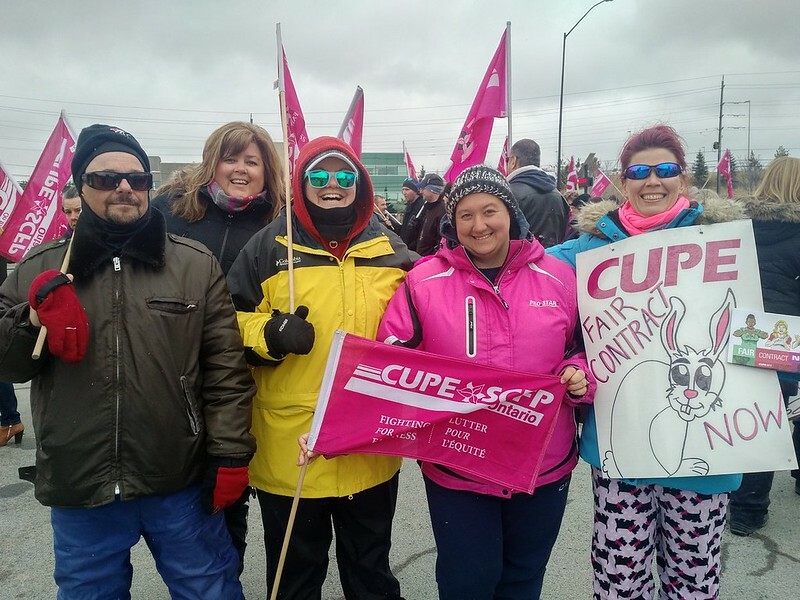 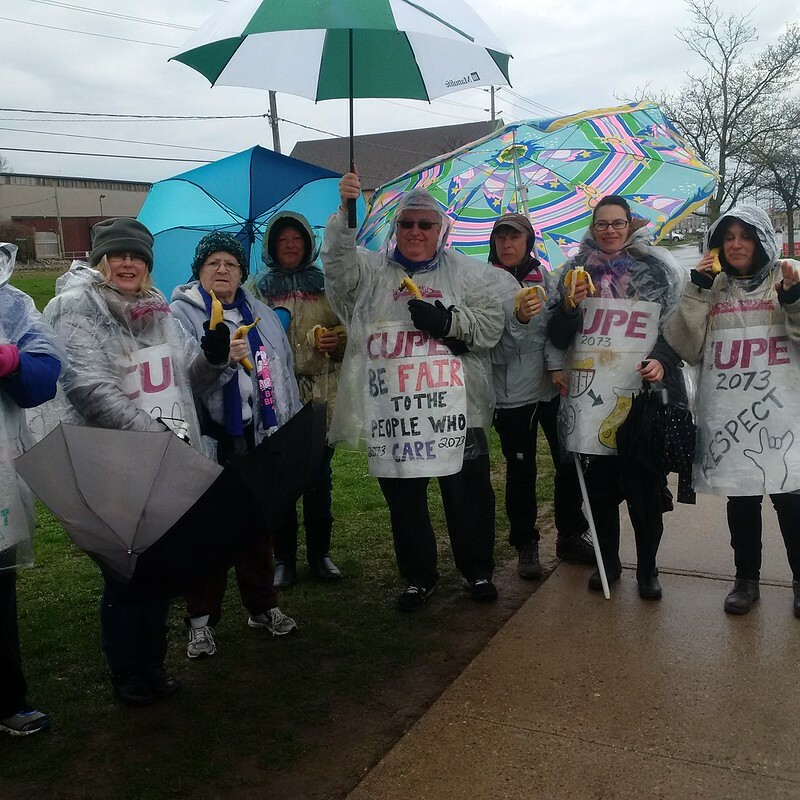 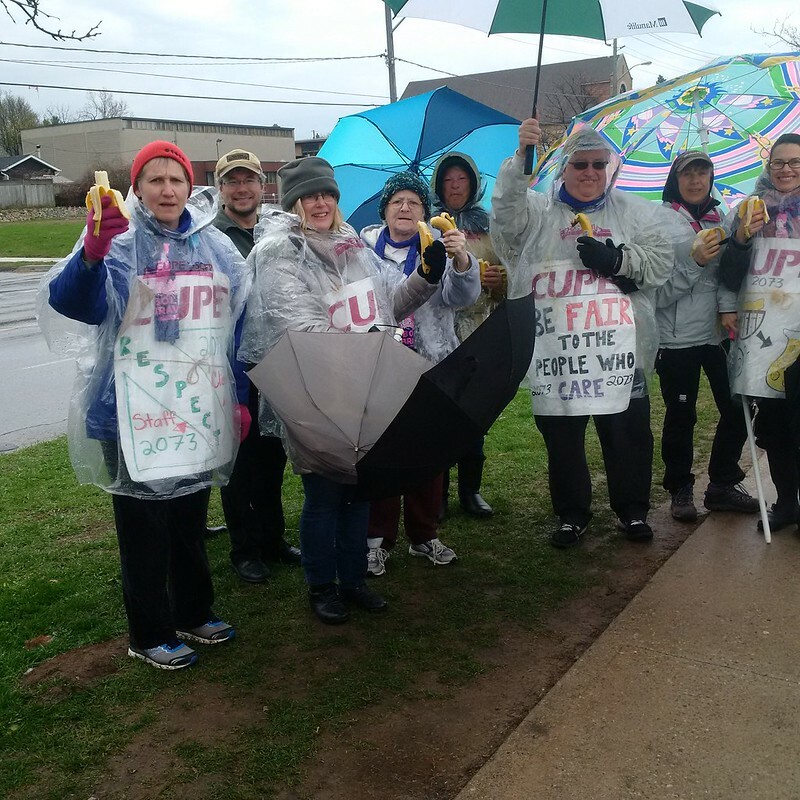 Over the lunch hour, hundreds of people rallied outside government offices in support of members of CUPE Local 2073, the striking workers at the Canadian Hearing Society (CHS). 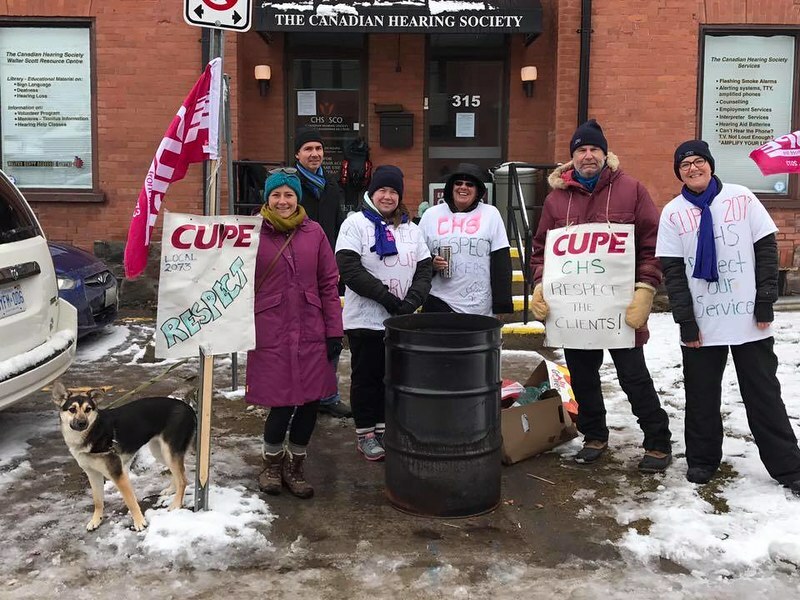 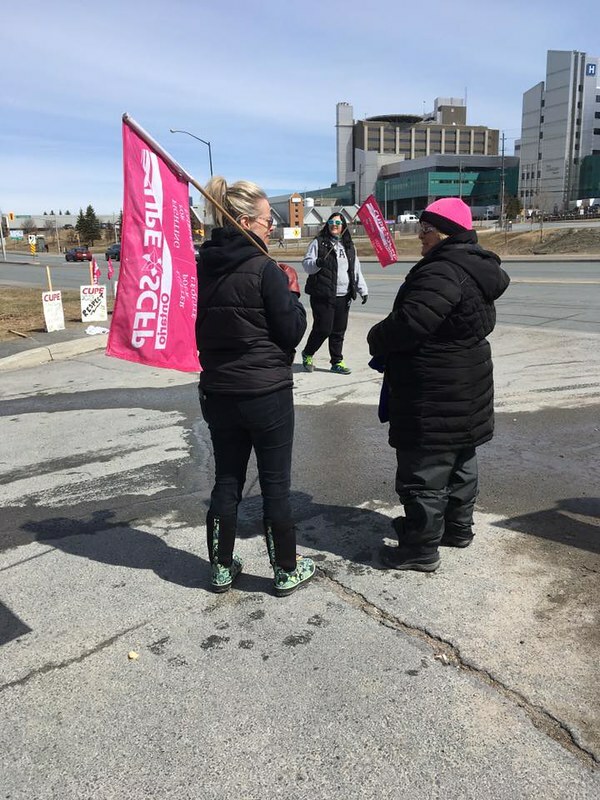 The 227 workers, who provide vital services to the Deaf and Hard of Hearing community, have been on a province-wide strike since March 6th. 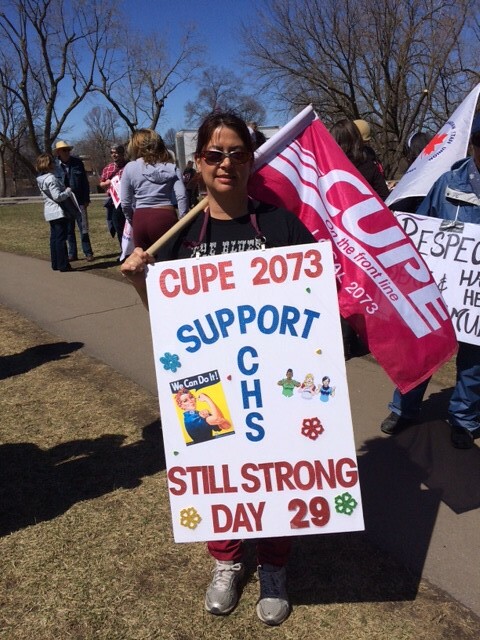 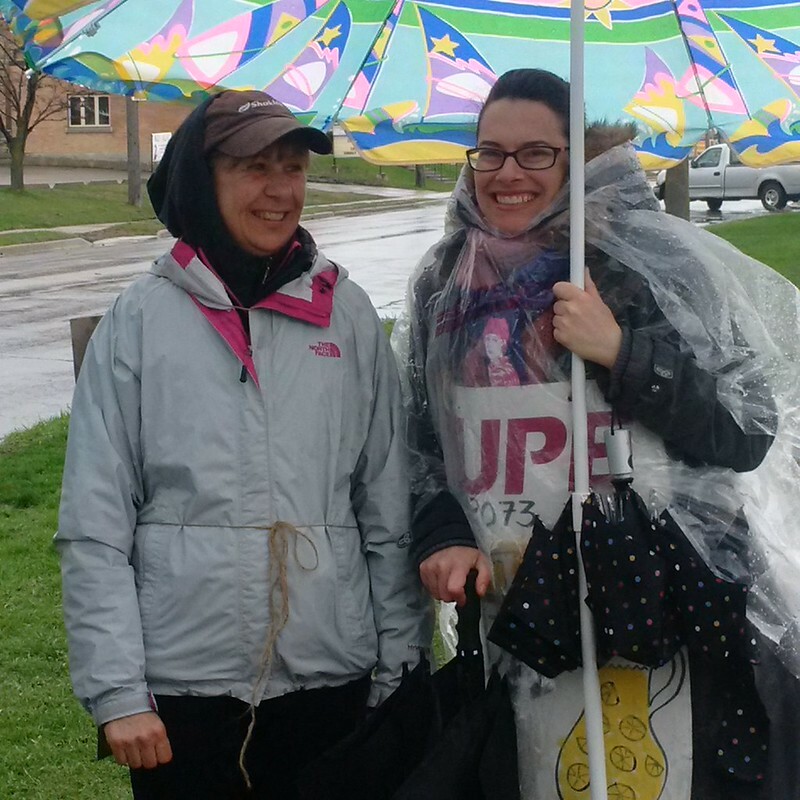 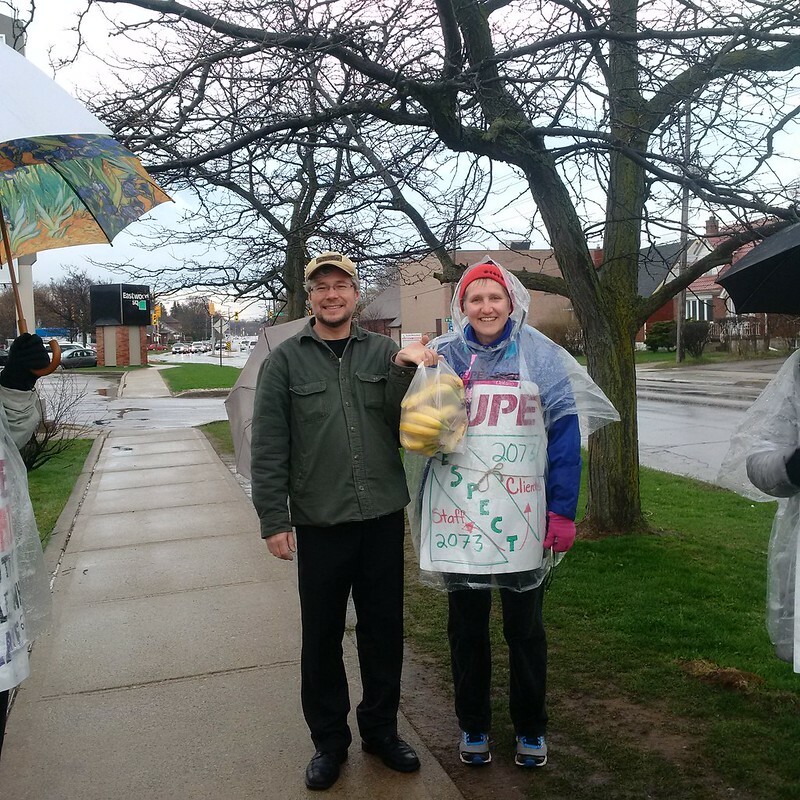 Local 2073 of the Canadian Union of Public Employees (CUPE) represents 227 workers at CHS offices in Ontario. 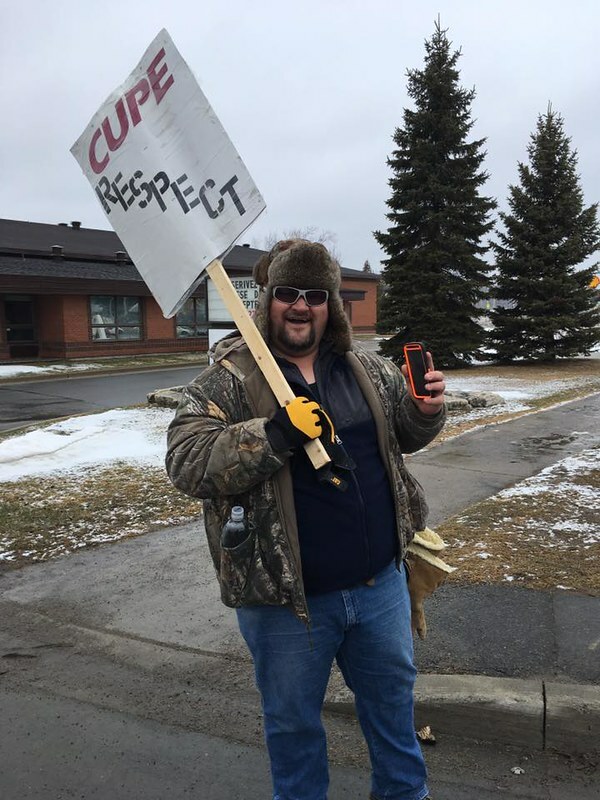 Members of CUPE 2073 work at CHS as counsellors, literacy instructors, audiologists, speech language pathologists, interpreters/interpreter trainers, clerical support, program coordinators, program assistants, and information technology specialists. 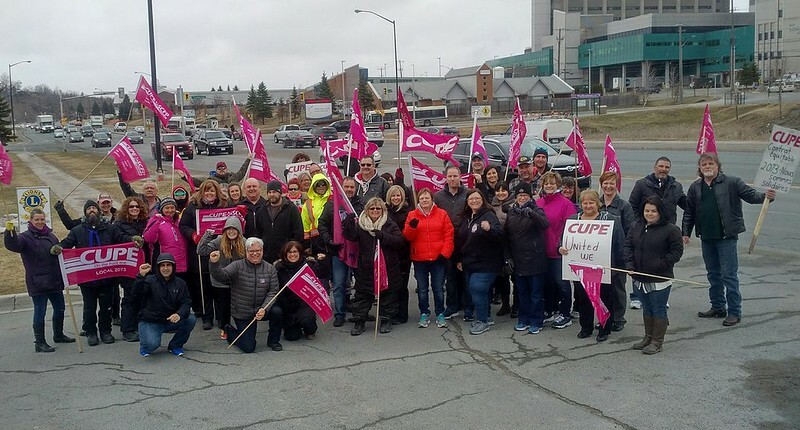 90% of those on strike are women, and 40% of the workforce is Deaf.